My first laser printer (a HP) stopper working after years of usage, and I have been in the marked for a color laser for some time. They had a Brother DCP9015CDP on sale, so I went for it. This is a large All-In-One printer with Wifi. It was dead easy to set up and my wife was happy to see it install on her Mac. The print and colors are ok. I am not sure this is the best printer for photo prints,but I got a big surprice as I printed – it prints on both sides. 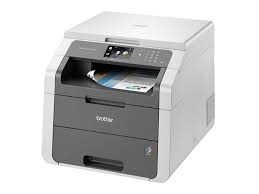 Prnter, Copy machine, Scanner and it is soundless except then it prints. The cost in my case was ca 300.- USD so I am happy. Based on my previous experience I bought the laser some 10 years ago for 100.- USD and have used 3 cartridges costing ca 100.- USD in 10 years. The cost I had in inkjet printers was much higher and the double sided print will cut my paper cost by 50%. The only thing I actually miss is A3 print for schematics, but I will survive.